Okay due to extreme pressure we have given in.Within the next week or so all our livestock will be available for delivery next day nationwide.Yes you heard correctly. We are setting it up as we speak. 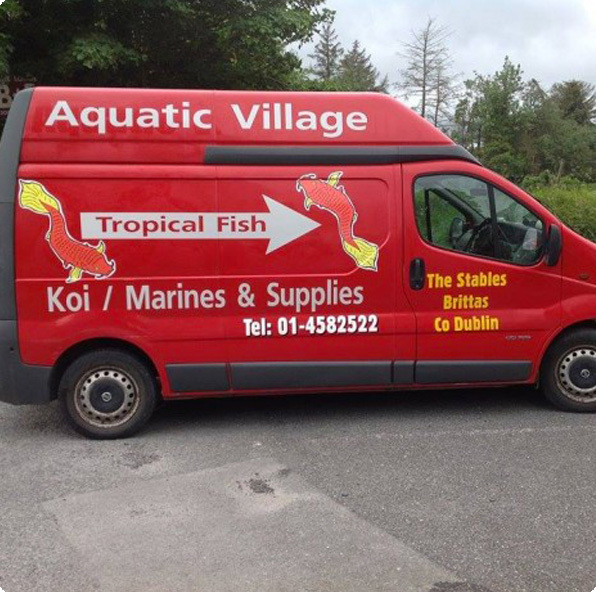 Our fish house will be available to you no matter where you are. We have over 450 tanks of stock so the range we carry is indeed mind blowing, so basically i am excited to make this announcement. Our biggest problem is our range is so vast cataloging it will be a nightmare. Most shops have a few tanks we now have 5 fish houses…..with more coming online.Our african section alone is 15metres long with a further 5,ooo litres coming online just for wilds coming from Tanganyika and Malawi. In the coming weeks we have Peru coming in. We hopefully have our first Indian Shipment direct. So you will now be able to chose from the most comprehensive range of stock in Europe. I mean our competitors think they are big….we are over twice our biggest competitors size……and I mean it….it scares me sometimes to see whats in our tanks…..
Well the long and short of it is….by hook or crook we can now send it out to you……From arapiama to guppies……imagine……wild caught aficans…..all genuine and we will certify the origins on wild caught stuff so you know it is the genuine P generation fish….no other company can do this because we are the only ones capable of doing this. I am not talking about buying from the Uk and pretending we are importers…..we have our own catchers fishing the lakes and rivers……and we can back this up. So yes I am really looking forward to setting this up………so if you are a fish fan and you like what we do then you will know how I am feeling right now. This entry was posted in Blog on August 13, 2015 by admin.